As word leaked that C. H. Wills and John R. Lee were joining forces, curiosity built as to the product they planned to take to market. Referring to the Wills and Lee enterprise, an interviewer asked Wills to talk about the car before it had taken shape. As reported in the June 7, 1919 issue of the Michigan Manufacturer and Financial Record, Wills responded, "We are not seeking publicity. We are working on our project, and whenever something has reached the point where the news is worthwhile, when it will be of interest, it will be forthcoming. The only thing I will say is that we shall endeavor to place upon the market an automobile that will be found to be as good as it can conscientiously be made. We will start on a big scale, but we expect to become bigger, and that cannot be achieved unless the manufacturer's product is a satisfactory product. So we shall try to satisfy the public to the best of our ability, and we shall rely on this 'satisfied public' to build up our house." Wills intended to produce a car based on the most up-to-date materials and processes. His dream, however, was large enough to include as well the need for a model community in which to situate his production plant. Having secured financial backing, Wills and Lee formed a land company to purchase 4400 acres on the St. Clair River, about 45 miles north of Detroit. The area was serviced by rail, road, and river transportation, making it easy to get materials in and finished cars out. There they expanded a small hamlet into the city of Marysville, Michigan, to be known as "the city of contented living" or the "dream city". Planning to spend about $3.5 million for its development, it was to include schools, churches, parks, playgrounds, housing, hotels, stores, and factories. Its picturesque, rural setting was meant to spare its citizens the trials of city living. There would be a bank, one meant to assist lot and home buyers with loans and mortgages, headed by Wills as president and Lee as vice-president. And while there was a post office, chamber of commerce, orchestra, and cinema, there was no jail. There would be a police force to maintain order but there would be no need for punishment in the edenic community. Immersed in the company town idea of the time, Wills and Lee wanted to create an environment where workers, given everything needed at home (according to the company owner's definition of that need), would also be productive at work. This was critically important since, at times, Wills had his workers work seven days a week, 12-14 hours a day. Given his sociological "improvements" at Ford, Lee took the lead in designing the community. He teamed with the architectural and engineering firm of Smith, Minchon and Grylls to plat out the city streets of uniform width, allowing for nearly a third of the area to be left as green space. Contracts were negotiated for 9,800 homes, with Detroit contractor Walbridge-Aldingen to build many of the mostly-frame dwellings which company employees could either rent or buy on an installment plan. 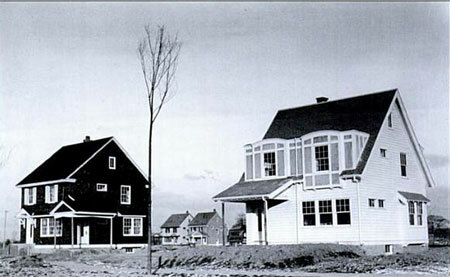 Other firms involved in the construction of buildings within the community were H. F. Fleming Construction Co., Marysville Land Co., Grey Estate, and Govro (who handled accounts for private individuals). Single men were to be housed in ten community houses, each of which would house sixty occupants. The Wills-Lee company set the architectural design of the houses, with Wills expressing this desire for his workers' homes as he thought primarily of families: "I want every worker to be able to purchase a house on a lot large enough to have a vegetable garden." Single family residences under construction. An engineering survey for the community was conducted in June 1919, and road grading began in September. On October 23, 1919, an elaborate ground breaking ceremony for the 100,000 square foot automotive plant took place. And in November there was sewer and water trenching; work began on apartment houses; and the first 66 single-family houses were built. It would take some time, of course, for the automotive plant to be completed. Although Wills had hoped to be in production by summer of 1920, difficulties with prototypes and his own perfectionism resulted in a delay to March 1921. A well-known stickler for detail, Wills shut down the assembly line whenever he conceived of another improvement to be made. Backers and associates quickly grew weary of all his changes but he was not deterred. Wills and Lee also encouraged other firms to bring their plants to Marysville. Detroit Edison built a power plant there and some thirteen manufacturing concerns, including Athole Manufacturing (pneumatic tires and convertible tops), Illinois Tool Co., American Bushings Corp. (brass piston bushings), Detroit Gear and Machine Co., Williams Manufacturing Co., Canadian Pressed Metals, and others built plants there. Not only were these relocations good for the city's growth, they provided component parts for the new car. With initial hopes running high, Wills also dreamt of international markets. In July, 1920, he purchased another large tract about two miles away across the river in Sarnia, Ontario. Since the property had been part of a Chippewa Indian reservation, the purchase was by treaty. As the community developed, Wills incorporated his business as C.H. 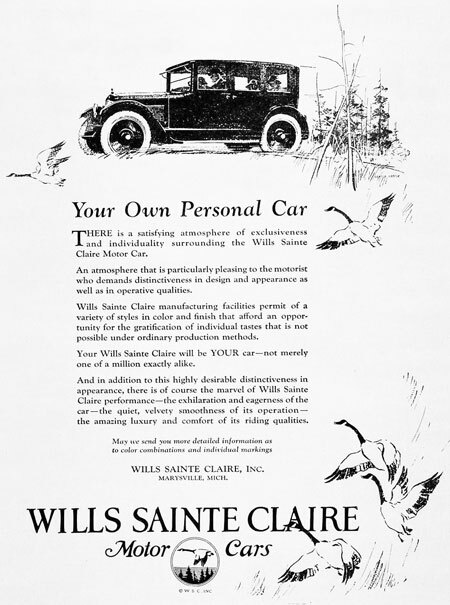 Wills Company and focused his attentions on building the car that would bear his name—originally the Wills Saint Clair, quickly renamed the Wills Sainte Claire since Wills thought those extra "e's" added class to the product. Wills himself put up $2 million and, unleashed from Ford fetters, let his creativity flow. Whereas the Model T was a "plain vanilla" car affordable to the masses, Wills wanted his car to be a luxury car, medium-sized and priced, with the newest materials and technologies. His car would have a lower center of gravity than most cars of the day and would be technological marvels. He projected that he could sell the stylish car for $2000, producing 10,000 cars a year. Early estimates had it that production would commence in August, 1920. With backing from Boston-based financiers Kidder, Peabody and Co., F.S. Mosely & Co., and National Shawmut Bank group, the company was established with these officers: president—Wills; 1st vice-president—Lee; 2d vice-president Kirkland Alexander (ad man); 3d vice-president Charles Morgana (machine tool-expert); secretary—Ferris D. Stone (partner in the law firm of Miller, Canfield, Paddock and Perry); treasurer—Frank P. Book; and assistant secretary-treasurer George S. Anderson. 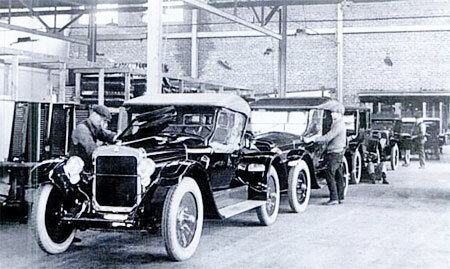 By January 1921, 1500 men were at work but finished cars wouldn't roll off the production line until early spring. Production of Wills Sainte Claire Underway. During the course of that first year a number of personnel changes were required to make production smoother. In June, Richard L. Frost (who had been in manufacturing operations at Fordson tractor) was put in charge of the factory, leaving Morgana free to deal with design, engineering and management problems. Harry Fuller, who had been in charge of the machine shop, was made supervisor of engine assembly and testing and machine shop operations. George Kennedy was moved from maintenance to become supervisor of chassis assembly. George E. Blair, who had headed the block test department, was put in charge of engine assembly. His former assistant Ray Wonsey became supervisor of engine testing. John Etzold was made responsible for inspecting materials and manufactured parts. D. E. Jarman, in recognition of his work as tools and fixtures inspector, was appointed head of that department. Last but not least, Mr. O. Valentine, who had begun as operator of a small electric truck carrying materials from one part of the factory to another, was put in charge of maintenance—because he did his job "better than the others". The moves seemed to have produced results. By August, production had increased from 15 to 24 cars a day and increased production helped keep costs in check. There was still hope that, within a matter of weeks, production could be ramped up to 35 and, eventually, 50 a day. The company eventually proved that could be done. 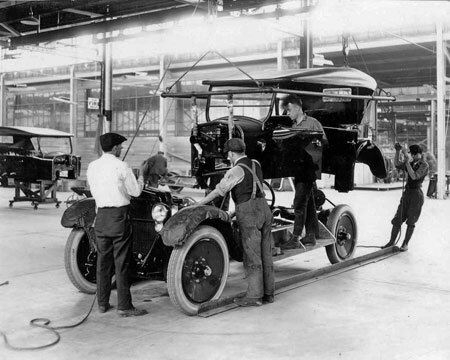 On June 5, 1922, 80 cars were assembled—a company record. Nonetheless, it quickly became apparent that the cars, expensive to manufacture, would have to be sold at prices in excess of $3000, a third more than earliest projections. It was also clear that initial production forecasts could not be met on a regular basis. These were early signs of troubles for the company. The first cars produced were V-8 touring cars and roadsters, the real heart of the business, followed by closed cars—coupes, sedans, and town cars. All models rode on a 121" wheelbase. Customers seemed pleased with the product, some testifying that the car ran smoothly, performed well without the need for further adjustments, and got good mileage. The cars came with the standard warranty of the day, i.e., 3 months or 3000 miles. Press was favorable, as well, with a number of positive articles appearing in automotive journals, one even calling the car "one of the great outstanding achievements in the history of motor car engineering." On the engine alone Wills had taken out a dozen patents. It produced 67 horsepower and its 92-pound flywheel gave it phenomenal torque. Its generator and fan were driven from the gear case, eliminating the fan belt. There was no doubt that the car was technologically advanced. Unfortunately, however, it didn't look that different from other cars and it was certainly not the show stopper other luxury cars were. 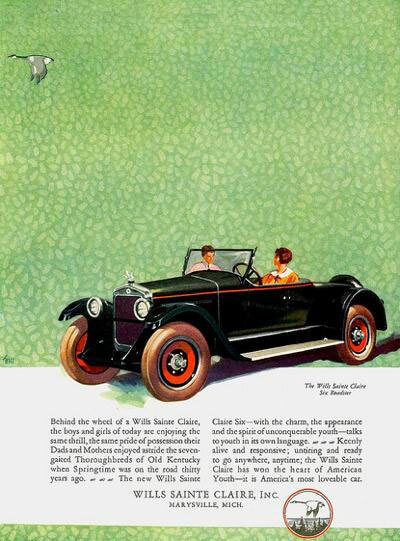 That made going tough, since in the July 22 issue of Vanity Fair, for example, the Wills Sainte Claire was advertised alongside thirty other car makes. Wills St. Claire A-68 Roadster. Ads kept up the drum beat about the new car. One ad claimed the 5-passenger touring car bore a resemblance to the Hispano-Suiza. Another catalogued the virtues of the coupe—wide and comfortable rear seat, low profile, ample leg room for the driver, wide door openings, and plenty of extras. Despite the hype, or perhaps because of production efficiencies, by August Wills was lowering prices. A touring car went from $3200 to $2875 and the roadster from $3275 to $2875, as well. In December Wills was feeling sufficiently confident to purchase Illinois Tool Co. and add hundreds of new workers to bring in house the manufacture of steering gears, speedometer drives and accessories. That Christmas the car was advertised as the ideal Christmas gift for the discriminating woman "because it fulfills her motoring ideals. . . insures her the utmost in automotive distinction and luxurious comfort. . . [and] successfully serves the most untrained driver." By year's end about 1500 cars had been produced and the company was preparing for its first full year in business. It was to be the company's best—and perhaps worst—year ever. Nearly 300 cars were produced but, by year's end, the company was bankrupt. Depending upon the model for 1922, prices varied from the $2475 roadster to the $3850 seven-passenger town car. The year got off to a good start with Wills being publicly recognized for his many years in the business. On January 11, Secretary of the Navy Edwin Denby addressed the National Automobile Chamber of Commerce in New York City. At that time Wills, who was in town for the New York auto show where the Wills Sainte Claire was shown along with cars from 83 other manufacturers, was given one of several annual "decorations" along with some gentle ribbing that "someday" he might succeed in getting into the automobile industry. An ad appearing just days later—in the January 29, 1922 New York Times—was titled "Why I Designed the Wills Sainte Claire, by C. Harold Wills." Trading on his sterling reputation within the industry, Wills explained, "For years I wanted to design an ideal and practical motor car, one that would be light, easy to drive (especially for women) durable, low hung, with extraordinary road clearances, simple and attractive in design. With this in view and backed by my knowledge of metallurgy, efficiency in production, manufacture and inspection, I designed the Wills Sainte Claire. In its construction we have used Mo-lyb-den-um steel and all other materials of the highest quality. We started with the conviction that weight and wheel base have nothing whatever to do with the performance of a motor car. We know that perfection of balance and weight distribution determines that. We developed a new type of motor tremendously powerful, eight cylinders, V-type, set at 60 degree angle, with overhead camshafts and valves, eliminating belts and chains by the use of perfected silent gears." An ad appearing in the Saturday Evening Post of July 1, 1922 spelled out the car's ten engineering advances. One—The Motor—Eight cylinders—V-type-actually twin fours, either one of which can be run independentlyâ€”brake test, 60 horsepower. It has overhead camshafts and valves in the cylinder head. A construction that gives enormous, flexible power and that with a special steadying device produces a wonderfully smooth, noiseless operation. This construction also makes possible a combustion chamber of such shape and design that carbon deposits are reduced to a minimum and fullest fuel economy is realized. Two—The Exhaust Valves—A Triumph of advanced metallurgy. Subjected as they are to the intense heat of the gases, each valve is made of three kinds of alloy steel. In this way the expansion and contraction are controlled—a constant tappet clearance is maintained and the valves seat accurately at all temperatures. Three—Cylinders and Pistons. New in design and manufactured by a new process that reduces friction to a minimum and gives to both cylinders and pistons the glazed finish and perfect fit that under the old method come only after the car has been driven several hundred miles. The danger of scored cylinders is minimized. Greater accuracy is secured. Four—No Chains or Belts—An assembly of gears designed by Mr. Wills and his engineers drives the cam shafts, the fan shaft and the intermediate shaft. All back-lash noise and lost motion in the gears are eliminated by special design, and this, together with the elimination of belts and chains that break and require frequent adjustment, is a distinct engineering advance to be found in no other motor car. Five—The Bearings—Developed by Mr. Wills for the Liberty Airplane Motor, and an important factor in its success. Are to be found in no other motor car. Twenty-eight operations are required to make a connecting-rod bearing, but when it is finished the surfaces are so true that scraping, filing or fitting is eliminated. These bearings are a triumph of precision manufacture and of advanced metallurgy. Six—The Springs—specially constructed to meet the requirements of load and wheel base. Excessive weight and wheel base are not essential to riding qualities. Perfection of balance, weight distribution and spring suspension determine that. The wheelbase of the WSC is 121 inches, because that gives ample capacity and is most convenient for turning and parking. It is the scientific wheelbase for power, flexibility and roadability. Seven—Lubrication—The lubrication system is another advanced achievement without which the motor would not have been possible. The method used to transfer oil from the passages inside the crank case to the crank bearings insures uniform distribution and uniform pressure at every point. The shape of the oil grooves in the bearings, the result of exhaustive experiment, produces an increase of 135 per cent of the oil volume transferred. The circulation of oil through the camshaft, which is hollow, insures perfect lubrication to all cams, no matter whether the car is on the level or a steep incline. Eight—The Fan. Is automatically released when it reaches a speed necessary properly to perform its cooling function. The ordinary motor car consumes four to seven horse power when operating at high speed. The WSC self-releasing fan cannot consume more than two horse power. Nine—The Cylinders—Are cast solid. Why? Because that construction permits of the true and accurate grinding of the valve seats. And tight valves are vitally essential to power. This is extremely difficult in the dismountable cylinder head, because the uneven tightening of the bolts distorts the valve seats. Ten—Mo-lyb-den-um steel—the toughest and strongest of all metals. Was developed commercially by Mr. Wills. It is used in all parts of the car subjected to extraordinary strains, shocks and stresses. Its use has enabled us to build a lighter, stronger, safer, more durable, finer motor car. These are a few of the specific achievements that have made possible the WSC. You cannot realize the true significance without riding in and driving the car. This we cordially invite you to do. The Chicago Auto Show took place that year from January 28 to February 4, and from it arose a persistent rumor that Ford had plans to take over the Wills company. Later it appeared that the rumor had begun because someone had seen Ford walk through the Marysville plant. Upon further investigation, however, it was determined that the Ford look-alike was, in fact, a supply dealer. There had never been any discussion with Ford. Still, the rumor had legs. One spinoff had it that Ford wanted Wills back to refine the Lincoln and to take up a position as general manager, another that Wills was on his way to Belgium to open a Ford plant there. Reacting to that rumor, Wills reported that he had orders of $20 million and no stocks on hand. "I don't see how things could be much better than they are right now. We are all squared away. Orders are coming in at a more than satisfactory rate. The car has given a splendid account of itself, and we cannot see the faintest cloud on the horizon." Whether folks in the industry believed the Ford rumor or the Wills claim, mechanical magazines that year were clearly impressed with how Wills made his new car. A two-part series in Machinery magazine discussed the milling operations used to make Wills Sainte Claire connecting rods, step by step. American Machinist concentrated on the 47 operations involved in producing its cast iron cylinders. Along with the emphasis on the mechanics of the car, ads also began to mention the use of Duco paint, a relatively new Dupont product that served up a tough, durable finish. For the roadster, colors remained what they had been in 1921, i.e., Lady Mary maroon, Newport blue or Liberty green but the coupe came in Fisher blue, Brewster green, and Princess Mary Lake (black). 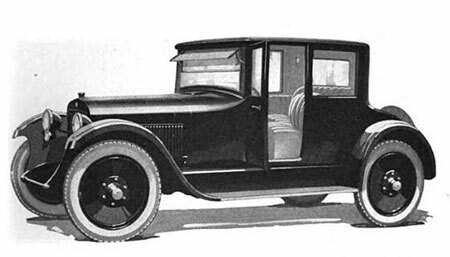 Billed as suited for city or country driving, the cars—which now included three new enclosed models—town car, limousine, and Imperial sedan (a cross between the limousine and sedan design, with a glass partition between front and rear compartments that could be lowered), ads trumpeted the car's distinction. One ad explained, "The car is designed and built for those men and women who are accustomed to insist upon the finest and the best. You will find that no other car rides so easily, drives so easily, clings to the road so tenaciously as the Wills Sainte Claire." "Finer" was the title of another ad which continued, "C. Harold Wills has designed and built in the Wills Sainte Claire a motor car that is lighter, swifter, safer, more economical, more comfortable, more durable and finer—a motor car, not more complicated, but greatly simplified." Yet another ad for 1922 read, "Whatever your motoring experience, ownership or antecedents, you know and your friends know, that you can drive no motor car embodying greater mechanical fineness and admitted prestige than the Wills Sainte Claire." While the car was selling, working capital was an issue. In March, bankers provided revolving credit of $6.9 million that was intended to keep the company in business for at least another year. During the first six months of the year the company saw a 110% increase in distribution, with Wills pronouncing, "Reports from the field indicate the largest list of prospects we have ever had." Sales were strong enough that, in June, one hundred men were added to the work force and the company was in full production. Component manufacturers were also enjoying the success of the Wills Sainte Claire. Standard Parts, for instance, got a one million dollar order for axles. American Bushing Corporation was running double shifts to fill record orders for brass piston bushings. By October, however, rumors were flying that something was amiss with Wills Sainte Claire. Besides the reports of Wills planning a return to Ford, there was a story the Wills and Lee had experienced a significant difference of opinion and that Wills had decided to leave Lee in charge of the business. While neither man commented on that story, it was given some credence because Wills workers took note that for some weeks at the Wills household furniture had been packed and crated for shipment. Just a month later, following a lengthy series of meetings with creditors and bankers, the company was forced into receivership, allowing for reorganization. Most Wills associates, including Lee, abandoned ship. Lee went on to work with Dodge and Charles Morgana moved to Maxwell. At that juncture the firm showed assets of $5.2 million against liabilities of $8.8 million. The mountainous debt came during nationwide poor economic conditions largely attributable to post-War recession. The December 7 issue of Motor Age reported that the receiver was to be Security Trust Co. of Detroit. The friendly action had been instituted by Michigan Malleable Iron Co. in its own name and that of other creditors. Wills reassured the public that all was well: "The company is solvent and the court action has been taken as a means of rehabilitating the company—and placing it on a stronger financial basis. It should be remembered that the company went into production late in 1920 when the motor car business was beginning to suffer in the general depression, but despite this fact the company made an enviable showing. Operations of the company will be uninterrupted." Wills St. Claire 1922 coupe. Once again Wills secured financing from a group of Boston bankers and was able to repurchase his company, one reorganized as a Massachusetts Company on July 30, 1923. With an authorized capital of $5 million, suppliers got 100% of their claims in first preferred stock; other creditors got 50% of their claims in second preferred stock; and first preferred shareholders got 40% of their claims in second preferred stock. Through stock sales for the new company, cash on hand was $1.9 million. The V-8 engines were still the only ones available. But the company began to design an inline 6 engine that would be cheaper to manufacture and, because of its detachable cylinder head, easier to service. There were a few changes in the model lineup, as well. Some closed models were discontinued and some prices were reduced a bit. A new two-passenger coupe was added with large storage compartment and tightly-woven upholstery in hard finish cloth or velour. Its cost was $2475 and it was called the Gray Goose Traveler. Ads began to market the cars as ones individualized to their owners' tastes rather than ones that had been mass-produced. "Your Own Personal Car" headlined one such ad, continuing, "There is a satisfying atmosphere of exclusiveness and individuality surrounding the Wills Sainte Claire Motor Car. An atmosphere that is particularly pleasing to the motorist who demands distinctiveness in design and appearance as well as in operative qualities. Wills Sainte Claire facilities permit of a variety of styles in color and finish that afford an opportunity for the gratification of individual tastes that is not possible under ordinary production methods. Your Wills Sainte Claire will be YOUR car—not merely one of a million exactly alike. And in addition to this highly desirable distinctiveness in appearance, there is of course the marvel of Wills Sainte Claire performance—the exhilaration and eagerness of the car—the quiet, velvety smoothness of its operation—the amazing luxury and comfort of its riding qualities." Another ad chimed in with the same theme: "All your other cherished possessions are expressive of your personal taste. Why should your motor car be merely one of a million? Wide variety of color combinations and decorative schemes; Wills Sainte Claire can be 'your car—expressive of your own personality, in harmony with your own tastes'—and at the same time, always, there will be that satisfying sense of pride and contentment that comes from the possession of America's finest motor car." And, just as the 1921 ad had suggested the Wills Sainte Claire as an ideal Christmas gift for the lady in your life, a 1923 ad proclaimed the car was "essentially a car for the woman who appreciates flexibility and ease of handling, who rejoices in the feeling of responsiveness and surplus power under perfect control, and to whom its rare beauty of design and finish and its ease of riding bring a constantly increasing sense of wonder and contentment. Wills Sainte Claire performance offers a "new and thrilling experience in motor car operation—And yet it is but the natural expression of the engineering genius that built the car and of the courage and patience of C. Harold Wills in applying for the first time to an automobile motor, the finest principles of motor construction." Despite the tumult of reorganization, by year's end the company had produced a few more than 1500 cars, about the same production levels it had seen during its first year as Wills & Co. Having regained its footing, the company was encouraged as to its future. In fact, during the following year, company first quarter earnings showed substantial profit, with cash on hand of more than $2 million. In January of that year an improved engine, Model B-68, was introduced. And cars were now available on a longer wheelbase, too—127 inches as well as 121 inches. There were other improvements to the car, as well. The car now had its first electric fuel pump, and balloon tires and four-wheel hydraulic brakes were added. Two-tone paint schemes were brought out for the first time. There were seven new body styles, and with the longer wheelbase the cars were roomier than ever. Hailed as "America's most distinguished car", the Wills Sainte Claire now appeared with more graceful lines as the four-passenger roadster; five-passenger Gray Goose special touring car; seven-passenger touring car; 4-door brougham; four-passenger coupe; five-passenger sedan; five-passenger Imperial sedan; and town car. Not only were dealers said to be enthusiastic about the new car, owners, too, were pleased. One ad explained why this was such a special car: "C. Harold Wills has again demonstrated his unquestioned leadership among designers and builders of fine motor cars—The new Wills Sainte Claire is a revelation even to Wills Sainte Claire owners, accustomed as they are to superb performance of their cars—It is the masterpiece of the man who for more than twenty years has led the way in automotive engineering and metallurgy—the new Wills Sainte Claire is even farther ahead of its time than the original Wills Sainte Claire when C. Harold Wills gave it to the world three years ago. New and improved power plant, new firing order, new carburetor and pre-hearing device, new specially designed clutch, even greater precision in manufacturing all combine to produce an eager, velvety flow of power that marks a new standard in motor efficiency." About 25% more cars were produced in 1924 than had rolled out the year before. On the administrative side of things in 1925, A. H. Moorman, who had joined the firm in 1923 as treasurer and comptroller, was made vice president in charge. Wills, interviewed for a January 18, 1925 article in the Rochester Democrat and Chronicle, had this to say about the financial health of the company: "Wills Sainte Claire, Inc. is in a very strong financial position. The company has a net worth of approximately $10 million and of this amount approximately $3.5 million are quick assets with cash on hand in banks and U.S. Government Certificates of approximately $1.7 million. There are no loans, mortgages or outstanding indebtedness of any kind other than current accounts which are very low. No trade paper is being issued and all available cash discounts are being taken advantage of. 1924 closed with very satisfactory operating results and the statement allows the company to be in a healthy and prosperous condition. With the unanimous acceptance of the product and the general prosperity which I believe will be enjoyed during 1925 Wills Sainte Claire, Inc. has every assurance for the biggest and the most successful year in its history." 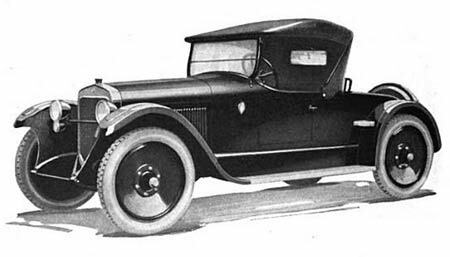 There were more changes ahead for 1925, the first year the I-6 was added to the 8-cylinder Deluxe line. The company took out a two-page ad in national magazines announcing the new Six, a car they claimed as "the recognized achievement of the year." Ad copy continued: "The truth about this car is too strong to be told—it has to be personally experienced. By starting with a new point of view, the Wills Sainte Claire Six, C. Harold Wills has apparently arrived at a really new standard of motor car value—priceless quality." No ordinary usage could harm it; this was indeed a "permanent piece of property" with "imperial poise" and "matchless beauty". And how it could go: "Thirty miles an hour forty, fifty, seventy—silently-smoothly—utterly without effort. The motor car which others have prophesied, C. Harold Wills has now produced." Any number of colorful ads told the tale of the new I-6 cabriolet roadster and Gray Goose Traveler. From the start the "6" was meant to appeal to the nationwide trend of more and more women driving for necessity or just for fun. While these flappers were called women of "independent intelligence", the ads mentioned this car as an ideal "swifter, softer and safer" way of getting around. The car, quite naturally, could be handled by "a gloved hand on the wheel and a satin slippered foot on the accelerator." The youth market was important to the popularity of the new car, too. One ad intoned, "the boys and girls of today are enjoying the same pride of possession their Dads and Mothers enjoyed astride the seven-gaited Thoroughbreds of Old Kentucky. . . keenly alive and responsive, untiring and ready to go anywhere, anytime; the Wills Sainte Claire has won the heart of American youth—it is America's most loveable car." Another ad simplified the purchasing decision: "You see it. You admire it. You buy it. And then no other car on earth can take its place." Despite the excitement of the new Six and assurances that the company would be around for years to come, only about 1800 cars were produced in 1925. The following year's production, however, topped that mark by about a hundred cars. Nonetheless, total output was troubling. The 1926 model year offered the same cars as had been on the 1925 roster. Another engine improvement had been made to the eight, though, so there was a new C-68 that produced 65 horsepower. And, for the Six, new features were introduced, as well: a six-bladed engine fan, a specially-designed carburetor; an Auto-Pulse fuel pump replacing the earlier Stewart; and a Warner vacuum tank-fed fuel system. The new engine, a pushrod overhead valve type, was said to be "one of the most accessible, the least complicated and the smoothest motors that has been designed". One ad that year continued in its praise of the founder's efforts when it announced: "C. Harold Wills is the only great engineer in America who is building his own car. . . Great wealth, great dreams, and unequaled [sic] engineering genius—all were necessary. And the combination is rare." The market continued to push for lower prices, though, countered by one ad reading, "Plain, blunt transportation can be purchased for less." Clearly, the Wills Sainte Claire was anything but that. An advertisement for the Gray Goose Traveler, for instance, declared that it was "finished inside like a Ritz lounge, outside like a Newport speedboat, and engineered with aeroplane exactitude, simplicity, and resources." The roadster , in similar fashion, was said to have "a sufficient touch of Rue de la Paix to make it as modish as the latest creation of [renowned fashion designer] Paul Poiret." So, once again, the company made its pitch with flashy ads. Bright, colorful backgrounds and a limited amount of copy made the case: "the car of exquisite beauty and faultless charm"; "a car for those who shop in Bond Street [London], shoot in Scotland and visit the Riviera in March"; driven by "people long accustomed to fine car ownership". Mid-year the company lacked needed working capital and could no longer produce the cars they needed. Instead, they sold cars on hand and manufactured what they could with on-hand materials. By November, the company announced any V-8 would be made only on demand, as a specialty order. Total concentration would be on the flashier I-6. Of that car the claim was, "nothing quite so advanced and out of the ordinary has been created on either side of the water." Even though the car was acknowledged as a mechanical wonder with incredible power, and even though its styling had caught up to the times, its price tag was still forbidding. At year's end, having fallen victim to the 1926 national recession, the company was in serious trouble. On September 24, 1926, there were still no profits and Wills announced that, in the coming months, the company would be liquidated. While, in 1927, the Sixes continued in production, total output that year was only about three hundred units. Sales manager J.E. "Jack" Clifford left to manage sales at boat-builder Chris-Craft. Wills was still interested in saving his company but large-scale backer Kidder, Peabody & Co., seeing good money follow bad, hired a consultant to report to them on the state of the car market. The consulting firm reported that, with millions of cars on the roads, the market was saturated. That was all those investors needed to hear, and their backing dried up. Wills sent a letter to shareholders in April that year admitting that the V-8 wouldn't sell and that I-6 "sales continued insufficient to meet the cost of operations." He paid the company's debts and took a year off to consider next steps. In 1929, Yellow Truck & Coach Co. purchased what was left of the company. And, in August 1933, Chrysler bought the old Wills factory to manufacture boat engines. Thereafter they constructed a new building for use as their Mopar National Parts Depot. The Wills Sainte Claire was a car of many firsts and would be America's only single overhead camshaft engine until Ford's V-8 racing engine appeared in 1965. C. H. Wills had done all he could to deliver a quality car to the market but, as the old saying goes, he let the perfect be the enemy of the good. Among other causes, his constant tinkering that delayed production and the car's high cost spelled its doom. In Part Three our focus will be on the car's innovative features and marketing strategies.